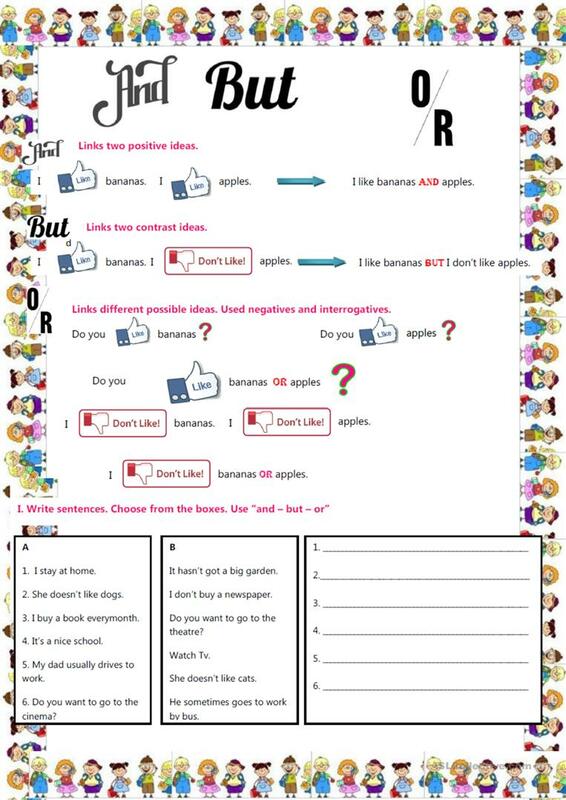 I prepare this worksheet for my students and they like it. Conjunctions "and,but,or" rules and gap filling exercise for elementary classes. hope You'll like it. The above downloadable printable is a great resource for elementary school students at Elementary (A1) level. It is aimed at teaching Conjunctions (aka connectives, e.g. and, but, or, so, then) in English, and is a valuable material for working on your pupils' Writing skills.